A group of 12 students from the PRSSA Nevada (Public Relations Student Society of America) attended the PRSSA national conference in Boston and came back armed with tools to succeed in the workforce. PRSSA Nevada VP of Publicity has five key takeaways below. Web applications such as Coverage Book or Mention help public relations professionals monitor how their brand is perceived by the public. These tools collect media mentions and effectively track earned media efforts. Get to know them before you head into the real world. Always think of your audience during event promotions. Think of your location and make a list of what your local demographics are interested in. Reno residents love events such as Night in the Country and Reno Rodeos. How would you effectively promote your brand here? Sure, a creative mind is key for all public relations professionals in the public and private sector. Yet, multiple experts told me that you must love what you do if you work in this business. And that means you have to to find the city that best suits your personality. The world of PR is growing and evolves as trends change. Vellidis also stressed public relations professionals don’t just “party plan and tweet”. Students must be prepared to write press releases, be experts in graphic design and produce videos. There are hundreds of career paths you can choose when you graduate. “You’re not the expert, your bosses are”. Nikki Barjon, Global Strategist in Branding and Communications at The Barjon Group, gave a presentation stressing the importance of balancing ambition with humility. An internship/first job is designed for you to learn. Don’t impose your ideas onto an experienced professional. 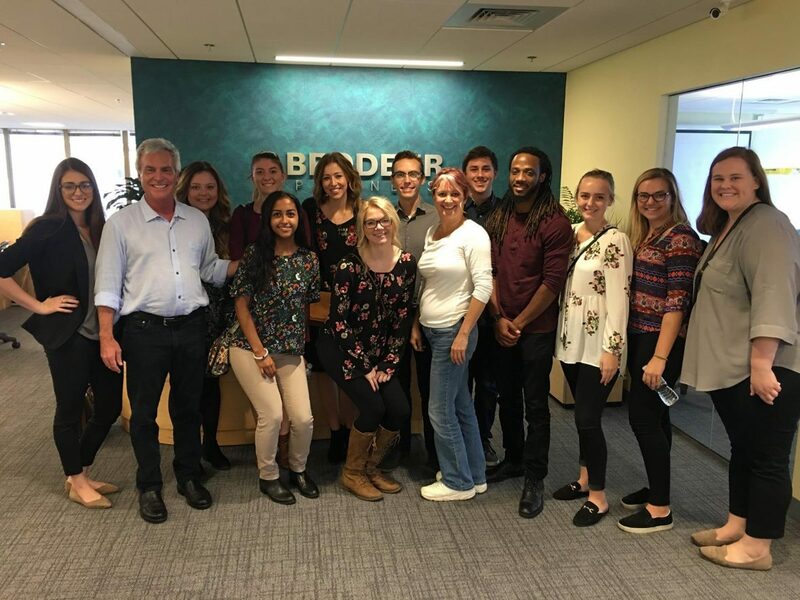 Thanks to RSJ alum John Brodeur whose team shared insights on the industry and how to get into it over a hosted lunch for all 12 students and their faculty adviser @AlisonGaulden, APR. This year’s team will incorporate their skills from the classroom into a campaign designed to increase awareness for safe and effective treatment for children with cancer in America. Not as hard as you think: Why this Reynolds School student is a double-major.